Australian/Swedish majestic ElectroPop sisters Say Lou Lou’s long awaited début album, Lucid Dreaming, is released this week. To celebrate the duo have premièred their new video. This one’s for the track Nothing But A Heartbeat; a robust slice of Scandinavian SynthPop. Joanna Nordahl directs the clip, a monochrome chase that becomes increasingly abstract. Say Lou Lou’s Lucid Dreaming album is out now. The video for Australian/Swedish majestic ElectroPop sisters Say Lou Lou and Norwegian Cosmic Disco master Lindstrøm’s Games For Girls is finally here. Directed by Dimitri Basil, the clip features the girls just doing some stuff. Pretty much just that. Say Lou Lou X Lindstrøm’s Games For Girls is released 12th October. 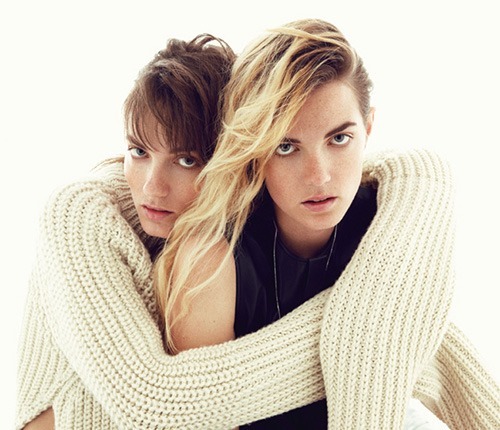 Australian/Swedish majestic ElectroPop sisters Say Lou Lou are already touting the release of their long awaited début album, and it;s not going to be here until early next year! It’ll be called Lucid Dreaming and despite not being available until February 2015, we can already get excited for it with their brand new single, a collaboration with Norwegian Cosmic Disco master Lindstrøm. Let the good times roll! We have to admit, we found it a immediately a little jarring to hear Say Lou Lou in the context of quirky Scandinavian analog Disco, but as soon as you settle into the groove it all seems to make sense. Say Lou Lou, obviously, appear a lot less serious and a lot more fun as their intertwining vocals bounce over a cheeky arpeggiated bassline and and a sweet plethora of playful synths. It’s good to hear Say Lou Lou branching out in the lead up to their album. If we were interested before, we are super interested now! 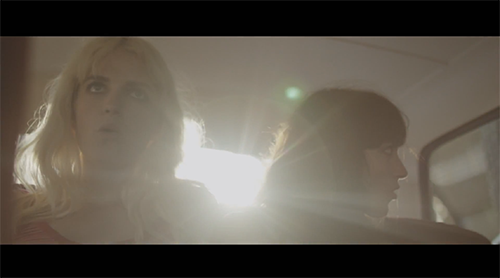 Here’s the new single from Australian/Swedish sisters Say Lou Lou. Everything We Touch is taken from their forthcoming début album, due out later this year and follows the likes of Better In The Dark, Julian and Maybe You in leading us to believe this could be one of the big Pop albums of the year. Anthemic and bombastic, as with all of Say Lou Lou’s singles Everything We Touch follows the formula of ethereal, floaty verses and massive sing-a-long choruses. With just the right amount of ScandiPop, layered pulsating synths and rousing, tribal, drums power the track along, giving a platform for the sisters stadium vocals. Late last month Australian/Swedish sisters Say Lou Lou finally released their long awaited Better In The Dark single. Here’s the just premièred video for the track. It’s a beautiful looking clip, directed by Magnus Härdner. It’s all nicely filtered, it’s like a fancy Instagram video. Say Lou Lou’s Better In The Dark is out now. Sweedish Disco duo Tiedye. Terrible band name. Excellent reMixers. Just take their latest work, the B-side to Better In The Dark, forthcoming single from Say Lou Lou, Beloved. 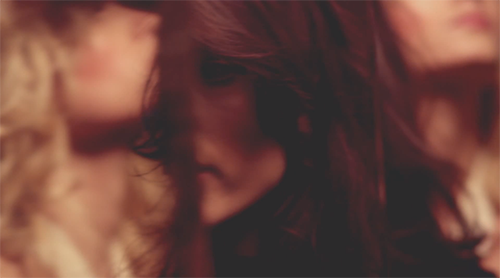 As with most Say Lou Lou singles, Beloved is epic DreamPop at it’s finest. All floaty and hard to focus on but doing just the right things at just the right times, Tiedye, take that vibe and drag it onto the dancefloor of a boogie. This reMixes swirling synths actually give it a Dreamwave air, the bright arpeggios instilling it with a sense of nostalgia. Which, of course, plays right into the sisters dreamy vocals. Tiedye mange to get all euphoric without going too far down the cheese route, which is tricky business that they have pulled-off quite nicely. Also, there’s a really nice snare in this track. Listen out. Say Lou Lou’s Better In The Dark is released 25th November. New Say Lou Lou tracks seem to be coming thick and fast these days. Only last month did we introduce you to the girls new single Better In The Dark, which is release at the end of this month with reMixes from Tiger & Woods, Hygrade and Andrea, and now you can check out the epic B-side, Beloved. The sisters get their cinematic SynthPop on for this tune. It walks a nice tightrope between it’s optimistic, almost uplifting synths and a deep melancholy in the vocals, making the track a two sided affair, but one that feels lit a narrative complete. Shimmering keys and pounding drums underpin the girls vocal laments. This could have easily been a single in it’s own right, but it makes a stunning B-side. Sounding like a high-octane Julian, Better In The Dark is the new single from Australian/Swedish sisters Say Lou Lou. who seem to have settled down with Say Lou Lou, I think this is the longest they’ve ever been called on think, so it looks like it’s definitely Say Lou Lou to stay then. Out toward the end of next month, we predict Better In The Dark to do big things over the holiday, it’s got that wintery vibe. An orchestral cacophony of screeching synths, hammered piano and gentle melodies, Better In The Dark is rush of emotion Pop. Say Lou Lou have got the knack of making big energetic track sound like they have the intimacy of a ballad, and they work that skill to it’s full effect right here. Better In The Dark has winter anthem written all over it, expect to hear this a lot, and not even get sick of it. Good stuff. Say Lou Lou Better In The Dark is released 25th November.